Official course information can be found in the Undergraduate Catalog. 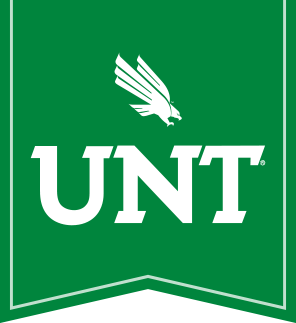 The following information is an overview of each of the Astronomy courses that are currently offered to UNT students. PHYS 1052/1062 can each be used to satisfy a portion of the Natural Science requirement of the University Core Curriculum. Course Information: 3 hours. (3;2) History of astronomy and the physical properties of the earth, moon, planets and minor bodies. Includes self-scheduled outdoor and indoor laboratory exercises. Laboratory Information: Eight self-scheduled labs will be completed throughout the duration of the lecture course. The laboratory component of the course will be described in a separate syllabus, a sample of which can be here. Labs are SELF-SCHEDULED through Blackboard, via a class link which will become available upon the first day of the enrolled semester. (You will not go to the same lab/location for your lab at the same time each week.) Each of the eight labs will be offered several times throughout the semester and you will be responsible for attending each one ONCE. Sample schedules showing how frequently labs are offered, and roughly what times to expect them to be offered are available in the left sidebar. The overall point total you receive for labs will be transferred to your professor at the end of the semester and this will count as percentage of your final course grade, as determined by your professor. Course Information: 3 hours. (3;2) Properties of stars and stellar systems and a study of the origin, evolution and future of the universe. Includes self-scheduled outdoor and indoor laboratory exercises. Laboratory Information: Eight self-scheduled labs will be completed throughout the duration of the lecture course. The laboratory component of the course will be described in a separate syllabus, a sample of which can be found here. Labs are SELF-SCHEDULED through Blackboard, via a class link which will become available upon the first day of the enrolled semester. (You will not go to the same lab/location for your lab at the same time each week.) Each of the eight labs will be offered several times throughout the semester and you will be responsible for attending each one ONCE. Sample schedules showing how frequently labs are offered, and roughly what times to expect them to be offered are available in the left sidebar. The overall point total you receive for labs will be transferred to your professor at the end of the semester and this will count as percentage of your final course grade, as determined by your professor. as the structure and fate of the Universe.